Siemens held its Automation Summit users’ conference in Marco Island, Florida, June 25-28th 2018, with digitalization being a leading theme. More than 800 end users, OEMs, system integrators, distributors, and media attended the event. The event had 180 first-time attendees and the total attendance exceeded expectations. Themes of digitalization, digital twin/simulation, digital enterprise, and rethinking automation technology were emphasized. MindSphere, Siemens' cloud-based, open operating system for IIoT, which is now completely embedded within Siemens’ strategy and solutions port-folio, was omnipresent. Attendees had their choice of about 85 sessions given by Siemens' customers, system integrators, and employees. Many of the sessions were real-world case studies. Session categories included productivity and efficiency, maintenance and operations, safety and industrial security, best practices and novel approaches, digitalization, and future roadmap. The conference included both hands-on training sessions as well as a “technology café” that served as a product and solutions showcase for Siemens and its partners. Raj Batra, President, Digital Factory division for Siemens in the US, kicked off the event. Mr. Batra began discussing digitalization in terms of digital disruption. He quoted statistics that estimate that the digital economy will amount to 6.5 percent of US GDP, that 38 percent of CEOs worry about the rate at which technology is changing, and that by 2023, experts expect there to be 77 million wearables in the US alone, with an expected market value of $48 billion. Mr. Batra said this to convince the attendees of the need to change and to accept change. Mr. Batra moved on to discuss the concept of a digital twin of the entire value chain. Siemens has the solutions to allow end users to virtualize the entire lifecycle, from inception to retirement. This modeling produces efficiencies in development, operations, and maintenance. Siemens no longer focuses on a piece of equipment, but a much larger digital twin of the plant or operating unit. Mr. Batra emphasized that speed is important. Companies must be able to change data into insight quickly. The goal of digital transformation is to quickly arrive at answers. Having the data means little. The industry has tons of data. Mr. Batra also discussed the holistic view afforded by the connected technology. Solutions are now available that enhance an end user’s flexibility and data transparency. He mentioned the work in the chemicals market around modularization and the work being done by NAMUR. Modular automation promises flexibility and standardization of equipment for industries challenged with the integration of equipment from several vendors. He used the term “plug & produce” to portray the concept. Siemens is evolving its control platform to address the latest automation market trends. These include the growing use of Ethernet in levels 1 and 2; greater emphasis on remote operations and maintenance, growing reliance on virtualization, more global engineering organizations and projects, greater focus on improving operator efficiency, more new initiatives around open systems, and the growing number of cloud/edge implementations. By focusing on these trends, Siemens is looking to deliver tools to improve plant efficiency and solutions that will work well into the future, preserving intellectual property and maximizing the asset lifecycle of its customers’ investments. From a software standpoint, Siemens is consolidating functionality and enabling MindSphere support. Highlights include support for modular automation using OPC UA and use of Module Type Packaging (MTP). Siemens has also attained TUV certification for its product lifecycle process and the PCS7 system based on IEC62443. The company continues to invest in the digitalization of the engineering process through its product, COMOS, which now features “top-down” engineering (from drawings into configuration), collaborative processes, bulk creation, and online configuration. Siemens has also developed virtual commissioning and operator training through its SIMIT simulation platform, allowing the system to be simulated for testing and training. SIMIT features include digital twin of the field devices. Siemens has developed several solutions to support its Digital Enterprise push. The Digital Enterprise relies on data from the control system passing into the cloud where applications centered around asset management and analytics reside. Siemens has also enhanced its management of change tools and user management with features that better serve highly regulated markets, such as food & beverage and pharmaceuticals. Batch functionality is also being enhanced to facilitate better flexibility, recipe creation and management, and visualization. Managed system services are being introduced with holistic system support (rather than focusing on individual products) that also provide pre-designated experts for the customer. From a hardware perspective, Siemens highlighted several introductions made earlier this year. One of these is the Compact Field Unit which will continue to be enhanced to introduce Zone 1 functionality, configurable I/O, and high availability. The SIMATIC ET 200SP HA remote I/O solution offers one of the smallest footprints in the market. The company also introduced a standalone safety system called the SIMATIC SIS Compact, which can meet the requirements for those customers that believe integrated safety systems leave a process more vulnerable. The Siemens Automation Summit hosted an entire track dedicated to digital twins, beginning with the roadmap. Earlier in June, Siemens announced a partnership with Process Systems Enterprise (PSE) to combine PSE’s advanced process modelling technology with Siemens’ process automation systems. The partnership allows end users to design a digital twin of the process, then validate, test, and optimize it. This model can be connected to Siemens’ SIMIT simulation platform for virtual commissioning and operator training. The SIMIT platform allows its users to simulate with hardware or virtual devices and enables integrated engineering and operations through COMOS, TIA Portal and PCS 7, which can save time and helps to maintain a digital twin that is current with the actual system. Other announcements made during the digital twin presentation included a new, more flexible licensing model, enhancements to the virtual controller functionality to better support virtual commissioning and operator training, and additions to the SIMIT platform libraries, which include field devices. The overall message from the company is that using this model-based technology across both the product and plant lifecycle unlocks better designs, speeds engineering, facilitates better decisions, empowers higher skilled people, helps optimize operations, and enables higher profitability. Numerous customer presentations at the Siemens Automation Summit supported the digitalization theme. Throughout the presentations, the key themes were: the importance of capturing and maintaining operator expertise, testing control system changes and/or implementations, and the accuracy of the simulations. Harald Piglar, COO of Piglar Automation, presented on using the SIMIT platform to create operator training specific to end users’ processes. Mr. Piglar described the process of creating an operator training system (OTS) for a three-unit hydropower plant and the steps to configure the SIMIT platform. 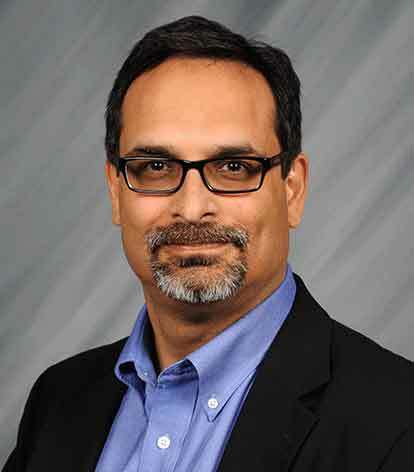 Yuris Fuentes, Engineering Consultant with DuPont’s Engineering Technologies Center, presented on the reasons an end user should use a digital twin throughout the lifecycle of a plant. In his presentation, Mr. Fuentes went through the steps to build the process and control system digital twin, then discussed testing the system through to the FAT, and finally discussed how DuPont uses a digital twin to train operators and validate control modifications. Ramesh Kommu, Automation Consultant, and Ariel Vargas-Colon, Automation Engineer, at DuPont’s Orange, TX facility presented on their implementation of an OTS using the TMODS modeling solution (DuPont’s in-house modeling package) and SIMIT. Here, they used the system to train operators on startups, shutdowns, compressor loss, and some deviation scenarios. DuPont felt this work would address quality and uptime issues at the site. Dow Performance Silicones needed a more cost-effective approach to meet its business needs for operations and training, as well as to support business growth via capital expansion. To do this, Dow utilized the digital twin approach to simulate and test changes prior to implementation. Sharla DeFrain, Batch Engineer at Dow’s Core Engineering Technology Center, presented on her experiences with the SIMIT platform and using a virtualized versus traditional simulation approach. The Siemens Automation Summit users’ conference continues to show how the company is evolving its portfolio towards a digital enterprise and IIoT, all based on its MindSphere platform. Customers are embracing the Industrie 4.0 approach but moving much slower than the technology. ARC continues to see the ecosystem for MindSphere growing rapidly, with added partners and developers creating apps that will leverage the platform and increase implementations. As more companies adopt a digitalization strategy, more real-world case studies of the benefits of the digital enterprise will be documented and presented. This, in turn, should lead to further implementations across all industries and geographies. Long term, it will be impossible for manufacturing companies to compete if they do not implement and become a digital enterprise. ARC agrees with Mr. Batra’s recommendation for end users to create a plan for digitalization. Many end users have directives coming out of the C-suite to encourage this, but the rank and file are often slow to respond, often just because they don’t know where to start. Siemens’ move to emphasize the benefits and results over the technology will go a long way to accelerate adoption of cloud technologies. This allows users to better evaluate the risk-reward nature of solutions and can speed adoption. Keywords: Automation Summit, MindSphere, Digital Twin, Digital Enterprise, IIoT, Process Automation, Industrie 4.0, ARC Advisory Group.